Alexander Ruchkin and Vyacheslav "Foma" Ivanov, two of Russia's leading mountaineers, died on August 27 while attempting a new route on the South Face of Nevado Huandoy Pico Sur. They likely perished while descending the peak. After the men were reported missing, a Peru Expeditions rescue group led by guide Eric Albino recovered the climbers' bodies in snow at the base of the wall at 5300 meters on September 2. The South Face of Huandoy Pico Sur (6160m), the southernmost of Huandoy's four summits in Peru's Cordillera Blanca, is an imposing ca. 800-meter cliff rising directly to a sharp summit. The shaded, looming wall is composed of compact but unstable granite. In 1969 a French expedition spent a month on the face, climbing directly above the snow spur but gave up because of bad weather and loose rock. Leader Claude Deck wrote in the American Alpine Journal: "With better conditions the direct route would still be an extremely ambitious project because of the steepness of the face, its difficulty, and the rotten rock." After attempts by a British team in 1974 and Italian team in 1975, the face was finally siege-climbed by three teams in 1976 with aid climbing on unstable rock. First, Japanese climbers ascended directly up the center on an overhanging pillar; then an Italian group climbed the Japanese line before traversing left onto the main wall; and finally a French team, led by Rene Desmaison, climbed a direct line up the main wall. The Desmaison-Faivre-Ottmann-Salomon route (5.8 A2+, 800m) wasn't repeated until 1997. Ruchkin, a 52-year-old climber from St. Petersburg, Russia, and Ivanov, also from St. Petersburg, came to Peru in early August, planning a new route up the South Face, "one of the most daunting rock walls in the Cordillera Blanca," reported Lindsay Griffin in the 2004 American Alpine Journal. Ruchkin and Ivanov began climbing on August 20, threading through crevasses and plowing up wet snow on the glacier below the wall to a bivouac. The next day they climbed six mixed pitches up a rock and ice spur on the right side of the wall, which brought them to an uncomfortable bivouac, where they slept in hammocks. The next day they climbed three additional pitches before making camp. On August 23, the pair climbed 20 meters up steep loose rock. On August 24, Ruchkin sent a message home on a satellite phone and reported: "All good. We are looking for the passage between the rocks and the destroyed pillar. Yesterday...we reached a blind alley and descended. Slava [Ivanov] has fallen a few times. We spent the night in the same place (5552m)." Based on Ruchkin's phone messages, they climbed another 30 meters on August 25, fixed a rope and then rappelled back to the previous night's bivouac. The following day, August 26, they climbed another 60 meters up difficult terrain and slept "in a small hole." On Thursday, August 27, Ruchkin sent his last message: "Yesterday, we climbed for five hours. But we could only ascend 25 meters, arriving again at a dead-end alley. We tried to go around the destroyed monoliths but this didn't work out. We will need skyhooks or rock bolts." Sometime after that last message, the pair likely began to descend from their 5600-meter high point and the accident happened. Eric Albino, an experienced Andean guide and friend of Ruchkin, led the recovery effort with support from his company Peru Expeditions and Seven Summits Club. Albino, four mountain guides, four high-altitude porters and two specialists in mountain rescue hiked up to Huandoy Sur on September 1. They carried two satellite phones to call for medical assistance if they found the men alive. They hiked fast and arrived at Morrena camp in the late afternoon, where they geared up and climbed a glacier to the base of the South Face. The Russian climbers were discovered at 7:30 p.m. in snow near the base, out away from the wall. The recovery crew returned the next morning with additional support to retrieve the bodies. "When we found them, they were like three meters of distance from each other," Albino told Alpinist. It appears an "avalanche of stones took them down," Albino said.The transport of the climbers' bodies, which were carried down the mountain to the road by about 25 men, was completed at 11:50 a.m. the next morning, September 3. 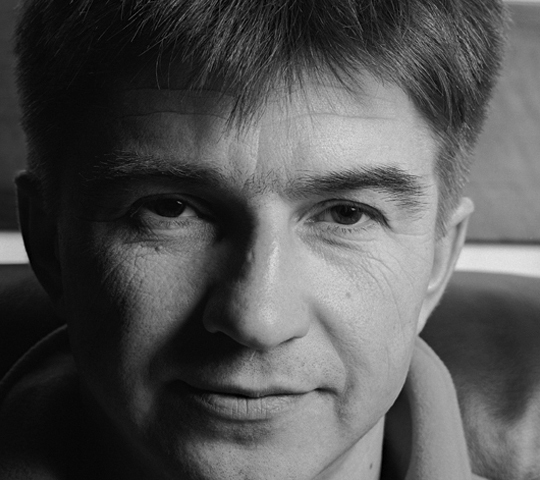 Alexander Ruchkin, an accomplished Russian climber, began climbing in 1985. His accomplishments include many new routes in remote ranges, including the Russian Route on Norway's Troll Wall (1700m) in 1997; Rubicon on Great Sail Peak (1615m) on Baffin Island in 2002; Shark's Tooth (1555m) at Renland in Greenland; Southeast Face of Kizil Asker (5842m) in Western Kokshaal-too on the Kyrghyzstan-Chinese border in 2007; and Mt. 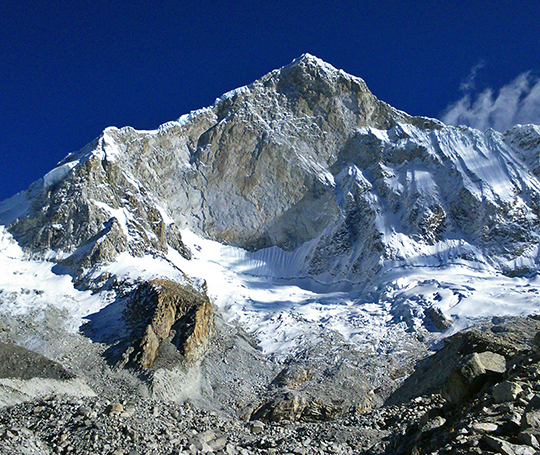 Gongga North (6134m) in the Minya Konka Range in China's Sichuan province in 2009. His ascent of Gongga Peak was nominated for a Piolet d'Or and was awarded the Russian Piolet d'Or. In 2005, Ruchkin was awarded a Piolet d'Or for his ascent of the North Face of Jannu (7710m), one of the great problems in the Himalaya, in 2004. When I'm in the mountains, I feel like I'm home. Comfortable, cozy, they have been drawing me back ever since I first set foot in them. Just contemplating their agelessness gives me enormous pleasure. Their detachment from civilization imparts a purity and distinct charm. When I'm among them, I feel like the discoverer of a new and untraveled world, one not touched by human hands since the dawn of their origins. An ascent—life on the walls—is a special existence, akin to life on another planet, lived according to other rules. When you manage to climb a mountain, you begin to believe even more in yourself and your strength. It doesn't matter which mountain, wall or route I'm climbing; it's the process that I like. Traveling and climbing with friends on new walls, encountering the world, returning home, then once again setting off: such experiences most people can only dream of. Vyacheslav Ivanov was an experienced mountaineer, three-time Champion of Russia in Mountaineering and winner of a Russian Piolet d'Or for his ascent with Ruchkin of Kusum Kanguru (6367m) in 2013. In 2010 he did a new route on the West Face of K7 West (6858m) in Charakusa Valley in the Karakoram, Pakistan.